Ez1099 comes with the data BACKUP and RESTORE function. You can roll forward ez1099 2013 data to ez1099 2014 folder easily. Step 2. 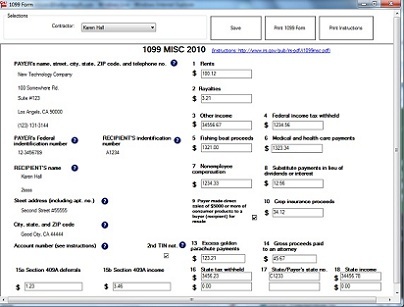 Start ez1099 2013, click the top menu “Company -> Backup Company". 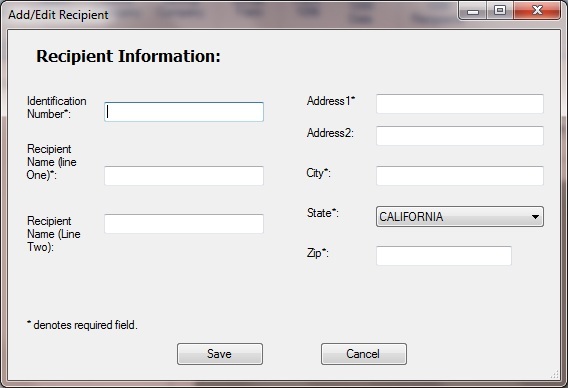 You can rename and save the database file to a folder or a flash disk. For example: you can rename the datbase file to “ABC Company 2014”. Step 3. Start ez1099 2014, click the top menu “Company-> Restore Backup Company". 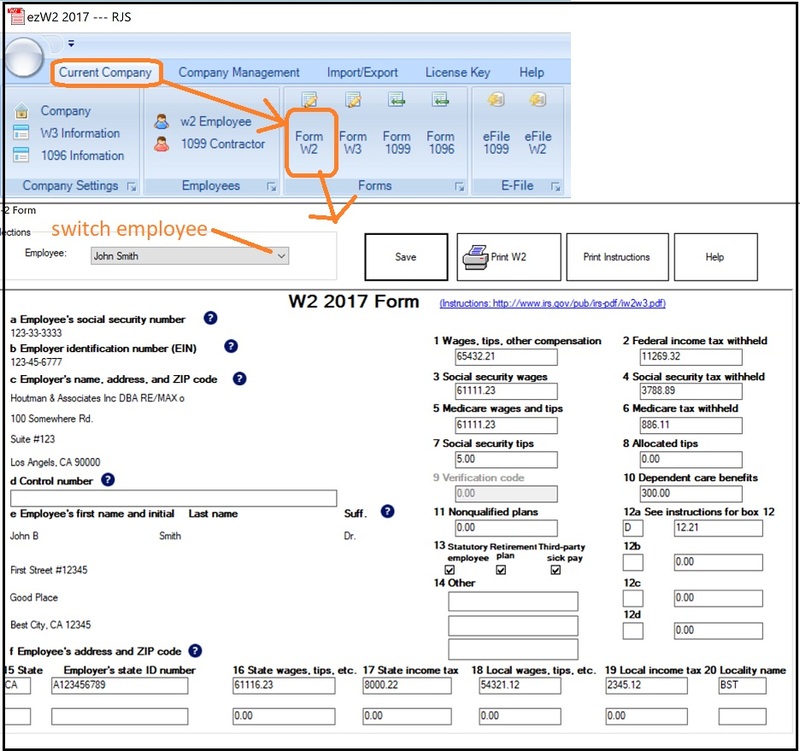 Step 4: Start ez1099 2014, select this new database file as your current database file by clicking the top menu "Company ->Select Company". Ez1099 2013 comes with new BACKUP and RESTORE function. 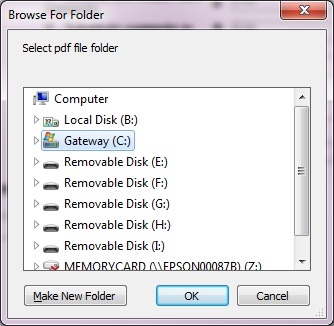 User can roll forward ez1099 2012 data to ez1099 2013 folder easily. Step 2. 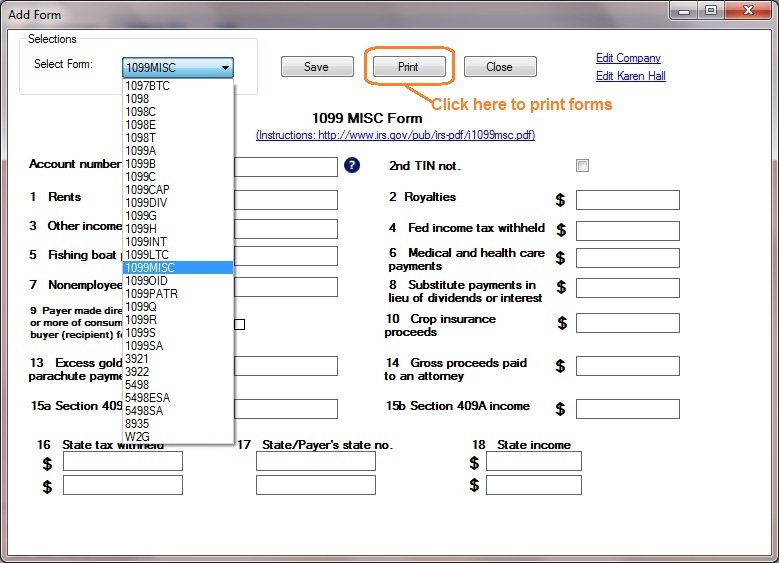 Start ez1099 2012, click the top menu “Company -> Backup Company". Step 3. Start ez1099 2013, click the top menu “Company-> Restore Backup Company". 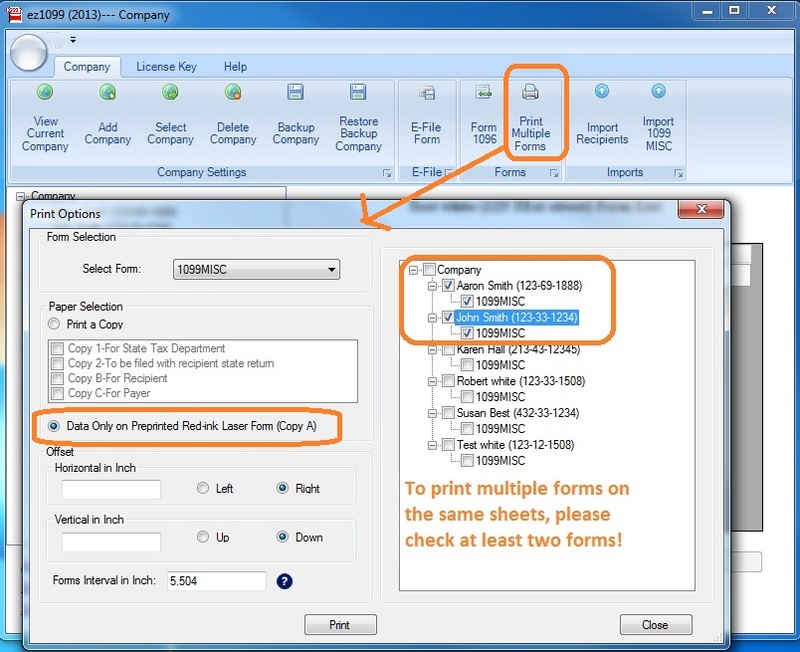 Step 4: Start ez1099 2013, select this new database file as your current database file by clicking the top menu "Company ->Select Company". 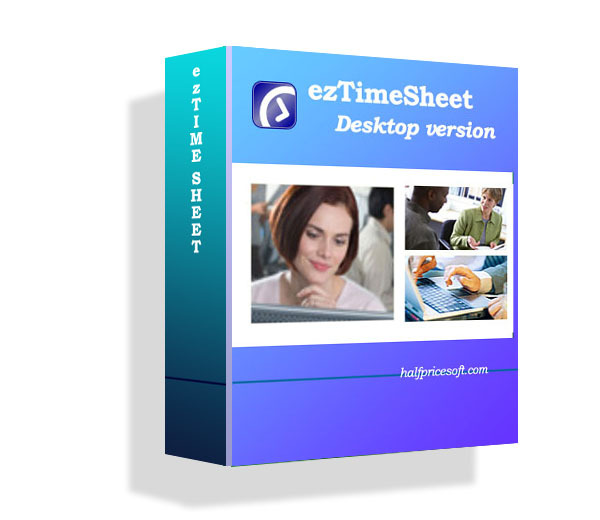 Ez1099 2012 comes with new BACKUP and RESTORE function. User can copy ez1099 2011 data to ez1099 2012 folder easily. Step 2. 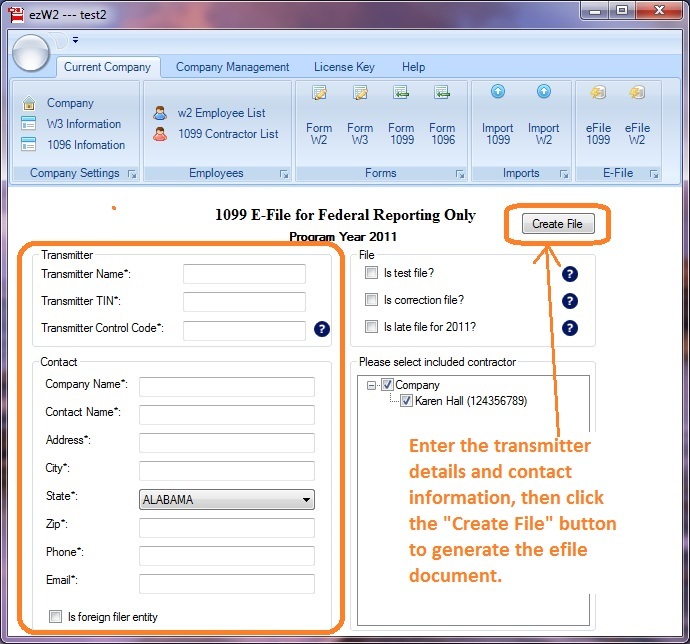 Start ez1099 2011, click the top menu “Company -> Backup Company". Step 3. Start ez1099 2012, click the top menu “Company-> Restore Backup Company". 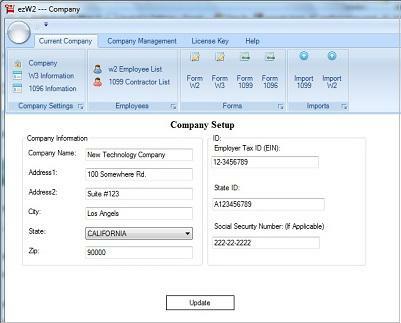 Step 4: Start ez1099 2012, select this new database file as your current database file by clicking the top menu "Company ->Select Company". 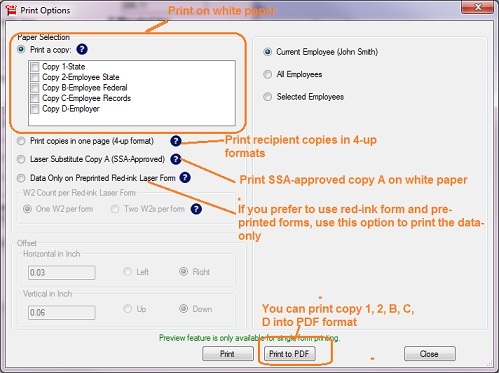 Ez1099 software can print recipient copies into PDF format files. Then you can email it to the recipients to cut shipping cost. 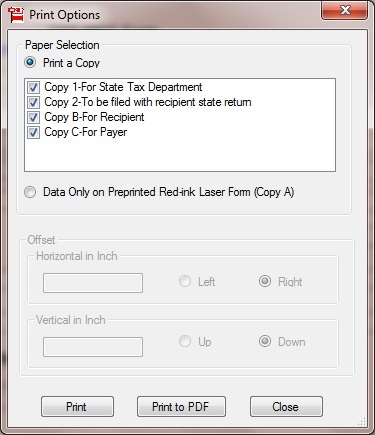 Step 2: Select the copies that you want to print, then click the PRINT button. 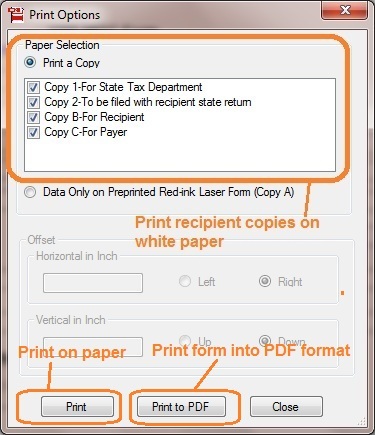 Save the PDF file on your local folder, then you can email them later. 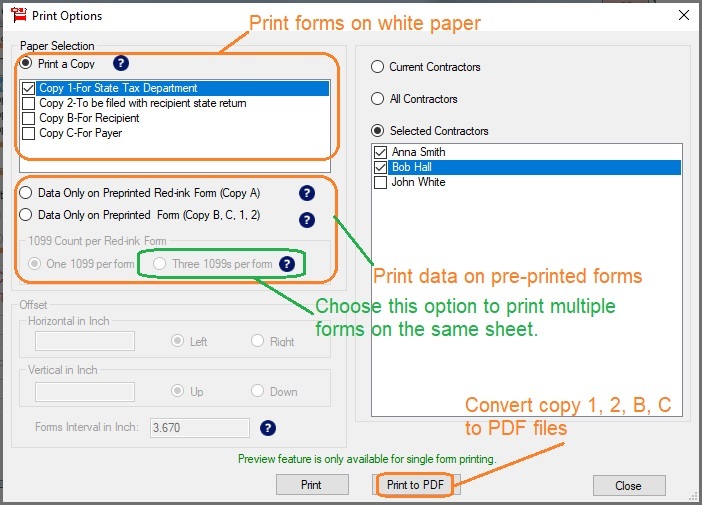 Ez1099 software can print recipient copies on white paper. But you need to print copy A for IRS on red form. Here is the step by step guide on how to print 1099 copies on white paper for recipient. 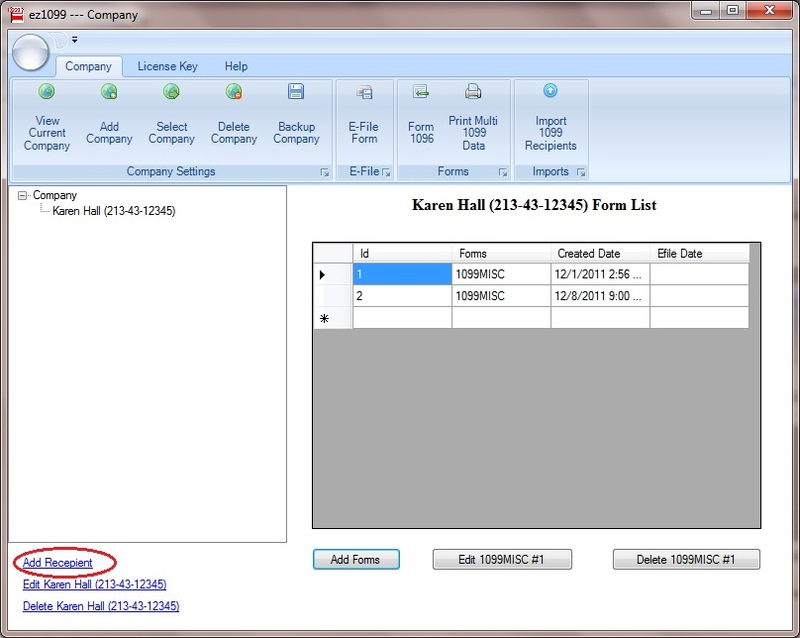 If you file electronically, the due date is April 1, 2013. How to move ezW2 software with 1099 & W2 data to a new machine?